SALEM, N.Y. - (May 3, 2011) — The National Elevator Industry, Inc. (NEII), as part of its ongoing effort to promote safe building transportation and adoption of the latest codes by local government agencies, is embarking on a comprehensive campaign to raise awareness and educate constituents across the country about pertinent issues facing the building transportation industry. 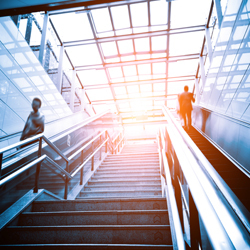 "While people are familiar with the elevators and escalators they use every day, those outside the immediate industry might not be aware of the comprehensive codes, standards and innovative technologies that go into ensuring the safety of both the riding public and industry technicians," says Edward Donoghue, Managing Director, NEII. "Our goal is to inform and educate key influencers in our industry about the issues and trends that affect the safe use and adoption of the latest building transportation systems." A key component of this campaign will be the launch of "The Insider," a bimonthly email newsletter which is available for all interested parties. Each edition will provide subscribers with an educational article written by NEII leaders and industry experts on a particular topic such as the latest industry issues, trends and discussions, including elevator and escalator contributions to sustainability, codes and safety advancements. Subscribers will also be given the opportunity to suggest topics for future edition of "The Insider". The first edition will be distributed in May and include an introduction to NEII's role and mission as well as what readers can expect from future issues of "The Insider". "NEII strives to be a comprehensive resource of information for our members and the entire building transportation industry," says Vance Tang, President, NEII. "'The Insider' allows NEII to share its extensive knowledge and resources by distributing timely information on important topics in our industry. We are pleased to announce that subscription is open to anyone, not just NEII members." For more information on NEII or to subscribe to "The Insider," please visit NEII's website at www.neii.org.